Her name is Tilly. She came from the Canyon County Animal Shelter. 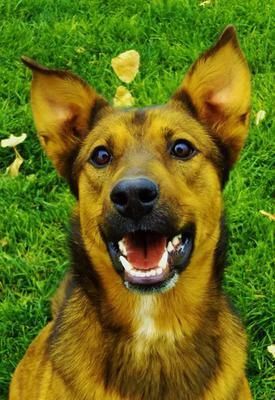 I don't know what kind of mix she is, the shelter said German Shepherd mix? She eats 1 and 1/2 cups morning and night. And she loves, I mean loves swimming and walks.